Moles exit the FA cup. 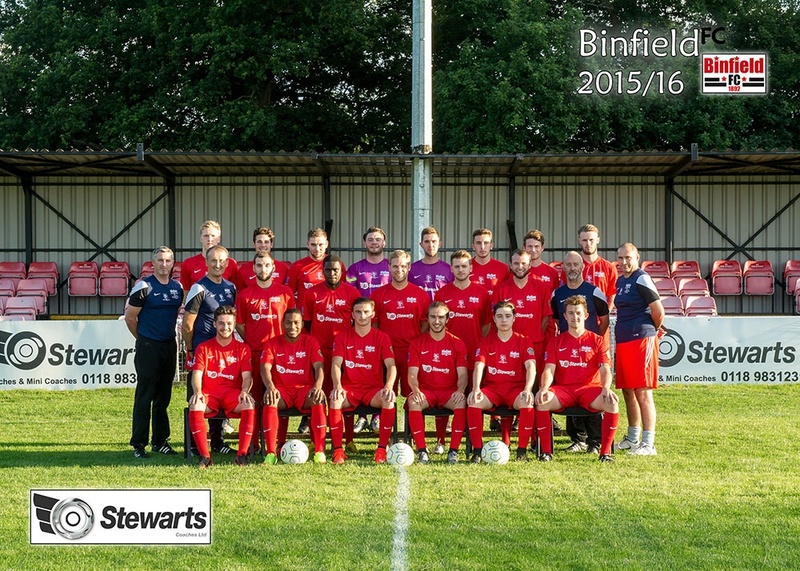 Binfield were unable to make history and progress to the third qualifying round for the first time as they fell to defeat, but were not embarrassed against a good Cirencester team. There was only 44 seconds on the clock before Binfield went close. An end to end attack resulted in Carlo Santoro volleying just wide from a Johnson cross. Cirencester took the lead after 13 minutes. After a period of pressure where Binfield held out resiliently thanks to some good blocks and last gasp tackles, they were finally broken down after a Louis Spalding cross found the head of Alan Griffin at the far post who headed downwards past Grace into the net. The game settled into a rhythm, with Cirencester dominating the possession and Binfield looking to hit them on the counter attack. Santoro looked the most likely source of something happening for the Moles, with them coming closest through a curling strike of his which ended in the keeper's arms. Cirencester extended their lead in the 24th minute. Liam Gavin conceded a free kick 25 yards out which Michael Pook slid along the floor into the box for Ben Whitehead who slotted past the advancing Grace to make it 2-0. They could have made it three moments later as Tommy Anderson weaved through the Binfield defence before clipping a ball over to Alan Griffin who headed just wide. In the 32nd minute, it was three nil as Ben Whitehouse doubled his tally after beating the defence to a chipped ball over the top, taking it wide of Grace before firing into the empty net. Cirencester dominated the rest of the half with Anderson, Griffin and Whitehead all going close to extending the lead but Grace held firm in the Binfield net to keep it down to three at half time. Cirencester almost scored a fourth just 32 seconds into the second half. Tommy Anderson floated a ball across which Griffin flicked onto the crossbar. Griffin then fired just over the bar from a Whitehouse pull back where it looked easier to score than miss. A minute later, Whitehouse broke in behind the defence and tried to round Grace again, the keeper this time getting a touch to for the striker wide, he then fired a shot against the base of the post which rebounded to Gerrish whose shot was tipped out by Grace. Cirencester continued their pressure in the first 5 minutes of the second half with Bennett heading just over from another Anderson cross. It was then Binfield’s turn to go close. Half time subs Senussi and Howell combined down the right with the latter whipping a cross in that Eddie Lee headed just wide. After a period of relative calm, Grace was Binfield's saviour once again, making an incredible save from a point blank range header from Alexander Albert. As the match progressed, Binfield began to enjoy a period of pressure. A panicked, last gasp tackle from a Cirencester defender resulted in a corner which broke to Khalid Senussi who fired just wide. For the final 20 minutes it would have been hard to work out which team was in the higher division as both midfields cancelled each other out and both defences held firm. Ultimately there was no comeback from the Moles and Cirencester progressed.